Kitchen – Here Come the Painters! When you decide to have your kitchen painted, picking a colour might seem like the main focus. 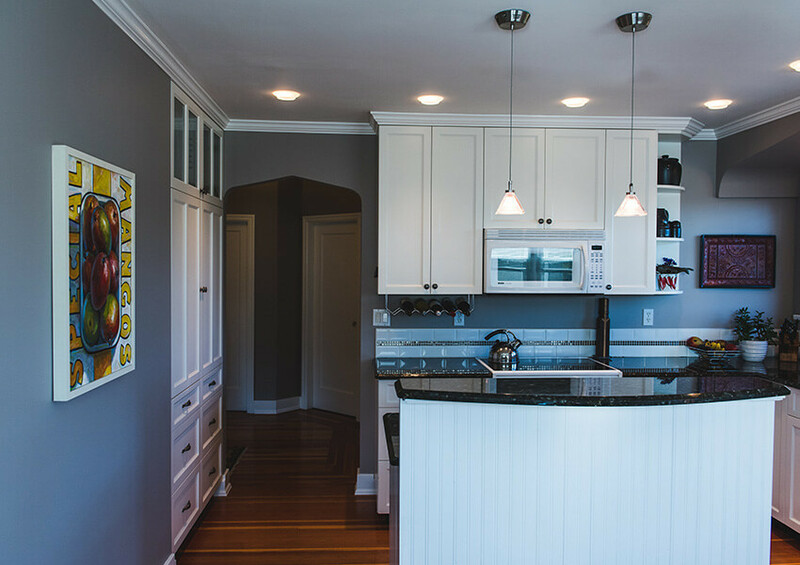 However, choosing the right paint finish is equally important, especially when you’re dealing with a high-traffic, high-grime place like the kitchen. The best paint finish choice is satin or semi-gloss. Most paints offer your pick of sheen preference, from flat to high-gloss. In general, the flatter (or more matte) the finish, the harder it is to clean; the glossier (or shinier) the finish, the easier it is to clean. 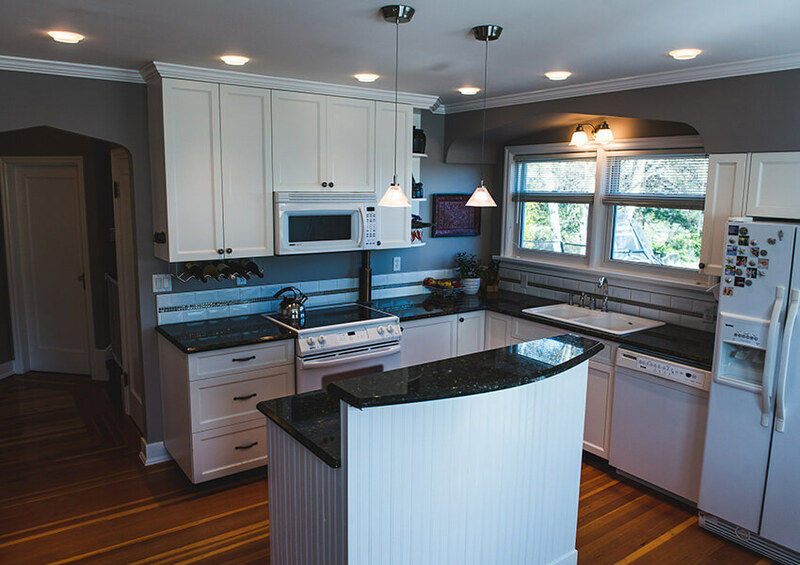 When it comes to kitchens, you definitely want a paint finish that can handle a little water, soap, and elbow grease. This makes satin or semi-gloss paint finishes a perfect choice. A semi-gloss finish has even more gloss in it, typically anywhere from 40-70%. It reflects a lot of light, and has a lovely gleam and glow to it without being too over-the-top shiny. The higher gloss content also means that it’s very durable and wipeable — a great choice for a kitchen and especially for the backsplash. The major downside to higher-gloss finishes is that they’ll show any crack, crease, or other imperfection in the wall. So that’s something to be aware of if your walls have some problems!